Do you know where does your energy consumption go? Have you ever thought of saving energy and lowering of your electric bills? If not then do think about it and try to find out the solutions to these issues. The major portion of your electricity is utilized by space heating, which is exactly about 47%. It is approximately half of the cost of your monthly electricity bill. The remaining one is shared lighting and appliance (24%), water heating (17%), air conditioning (6%) and refrigeration (5%). Now, you can easily decide when you are going to start saving energy by lowering its consumption. You can take a start from space heating because it consumes the major part of electricity. Walls and ceiling insulation in your homes will surely help you to save electricity up to 30% on heating cost which equates to 15% of reduction in total cost of electric bill. Although, you need to spend money on insulating materials for different parts of home, yet it will be quite significant in coming days. You can save approximately $150 every year just by the insulation of your home. If you are living in cold environment then it is recommended to go for super insulation of your home. You can also lower your electric bills by bringing few alterations around your house. If living in warm climate then shade of a deciduous tree will be helpful in cooling down the surrounding area of your house. This results in decreased utilization of air conditioner, which ultimately reduces the cost of your electric bill. Proper painting of walls and roofs will further help you in extra savings on electric bills. You can also cover your windows with synthetic/plastic coatings to provide additional insulation. Seal the leaks all around your house and make it sure that the heat will not go outside. Leaks may come from doors, joints, windows and sills etc. The habitual maintenance examination on furnace will make it operating proficiently. 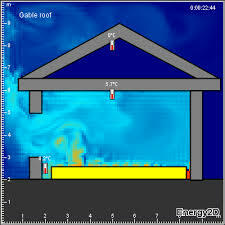 In this way the space heat equates the electricity consumed. Use of clean air-filter will again ensure that you are getting good air recycling and clean air as well. Leaking ducts can cause more power consumption because your heating system has to work 30% more than normal. 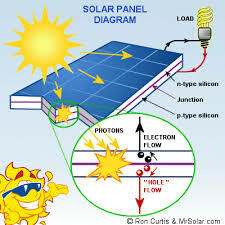 This will result in more energy loss and hence, increase in your electric bill. Approximately quarter of the bills goes to the lighting and other electric appliances. 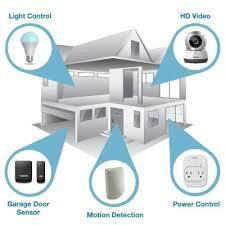 So, you should also try to control the useless consumption of lights and electronic appliances. Always, turn off all the extra lights, stereo and television when not in use. Also, turn the lights off before leaving the room even for few minutes. save about 90% of power consumption by washing the clothes with cold water instead of hot water. Germs on the clothes are eradicated through detergents rather than hot water. Also, try to make less use of washing machines as much as possible. Temperature reduction of the water heater also helps in cutting down the cost of your electric bill. Try to employ water heater jacket, which is economical and will surely yield to larger electric bill savings. Always seek for energy efficient appliances. For instance, compact energy bulbs are more power efficient than ordinary incandescent bulbs.